This morning, I took an exam for promotional transfer at work. It was all right. I took time to answer to all questions in three hours. I think I did well. David was pleased to see me calm and relaxed, too. It was great to see everyone's such a wonderful Memorial Day card for Cards for Heroes and read some stories that touched my heart. I tried to visit as many blogs as I could but couldn't finish although I stayed until very late night for two days because I had to do other things in between. However, as Farbe sent out the list of "deep links" on the hop tour , I can keep bloghopping so that I could see more cards inspire me. Thanks to Cards for Heroes! I want to take this time to remember all of the brave men and women who have given their lives serving our country. I remember that we used to write a comforting letter to soldiers who were fighting in the Vietnamese war when I was a middle school student in Korea. My uncle was one of them and he got injured during the war. I saw him suffering from the injury. I didn't really know at that time but now I can tell that soldiers are heroes. I am grateful for my life and my work in America safely. Thanks to them for their service! 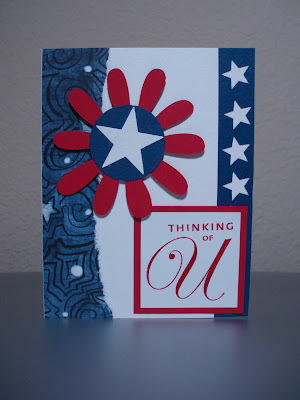 I am happy to participate in card making and sending cards to soldiers in the battle field through Cards for Heroes http://cardsforheroes.org/ I joined the card makers group and started making cards for Cards for Heroes since January. It has been exciting challenges when I had to make cards with the different theme each time. It gives me warm feeling when I visualize whom holds my cards in his or her hand and looks so happy. I really appreciate their enormous efforts! I have My Page at Stamp TV http://stamptv.ning.com/profile/SeongsookDuncan to show cards that I made. Until I finish posting them here, you are welcome to visit by clicking the link. Alex, my younger daughter, sent me Rice Cake photos from Korea. She made them. They are so beautiful! 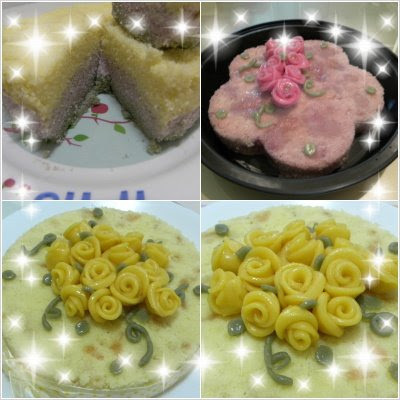 She used to make cheesecakes but now fell in love with Rice Cake which is very popular in Korea these days as she said. She did a very nice job. Thank you, Alex. I created a blog. Thanks to Cards for Heroes and blogspot.com.